Hello world! 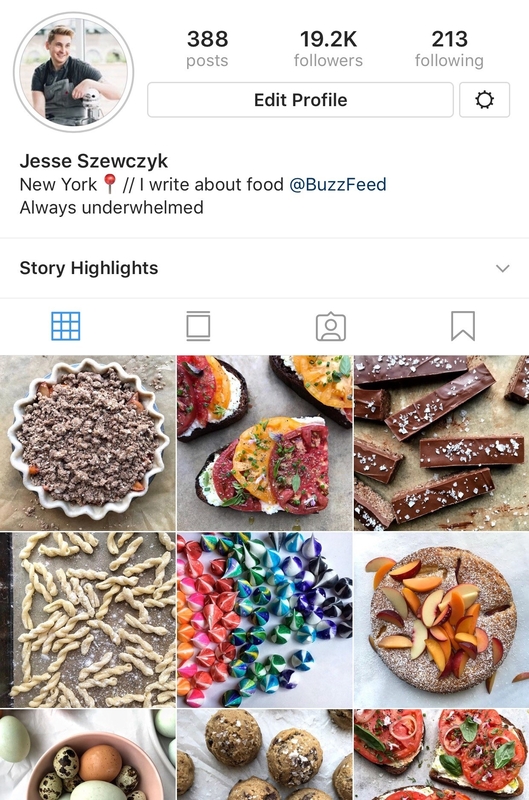 I'm Jesse from BuzzFeed's food team and I have always loved to cook. After working in restaurants all throughout high school, I decided to go to culinary school instead of traditional college. And not just any culinary school, the Culinary Institute of America ― a school known for its long and demanding program. 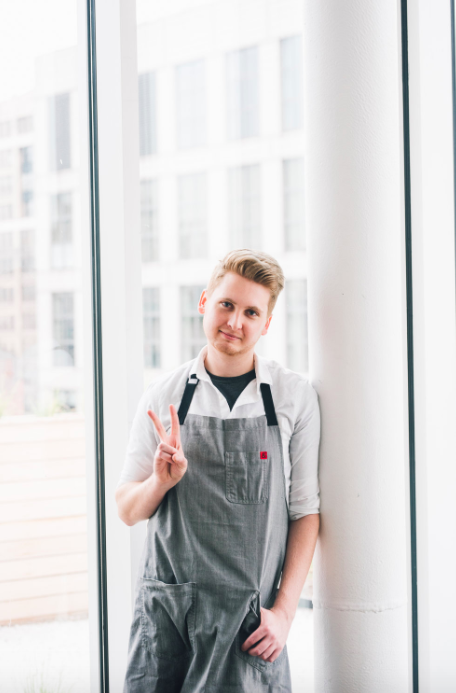 But I understand that culinary school isn't for everyone, and that's OK because I'm here to share some of the best cooking tips I learned during my four-year program. And no, I won't be teaching you how to break down a whole duck (although they do teach you that). For the first several months of school I kept getting docked for serving under seasoned food. As time went on, I realized that if my food tasted bland, it usually just needed more salt (not more ingredients like I first believed). The key to flavorful food is to season with salt during every step of the cooking process and at the end. 2. And it might need sugar, too. One of my teachers noticed that I was making marinara with out-of-season tomatoes and taught me that if you add a pinch of sugar, the sauce will taste like it was made with perfectly ripe ones. Sugar enhances the flavors of savory foods such as roasted carrots, beets, and tomatoes and plays an important role in balancing flavors. Do you ever wonder how restaurants get their sauces so shiny and rich? It's because they finish them with a few pats of cold butter (aka monter au beurre) before serving them. Next time you're making a sauce, try adding a few pats of cold butter at the very end to add richness and shine. Learn how to do it here. 4. And always deglaze your pan. I remember my teacher watching in horror as I scrubbed the burnt bits out of a hot pan. Turns out, those brown bits that get stuck to the bottom of the pan (aka fond) are what makes pan sauces so flavorful! Instead of washing them down the drain, deglaze them with wine or stock to build a flavorful base for your sauce. 5. Completely dry your meats before cooking them. Whether it's roasted chicken or seared scallops, drying them ensures you'll get a crisp, golden skin that won't stick to the pan. Pat them dry with paper towels or let them air-dry in the cooler for a few hours before cooking them. 6. For maximum flavor, toast your nuts and spices. Toasting nuts and spices brings out their flavors and takes your cooking to a whole new level. For spices, give them a quick toasting in a dry pan over low heat or bloom them in hot oil. For nuts, toast them in a 350°F oven for 10–15 minutes before cooking with them. 7. If your food tastes flat, add a touch of acid. Acid makes your food come to life. A squeeze of lemon juice or a dash of vinegar cuts through fat, brightens flavors, and wakes up flat dishes. Just like salt and sugar, acid balances flavors and makes food shine. 8. Cooking for a crowd is all about keeping it simple. There are several tricks to make cooking for a crowd easier, but the best thing I learned was to keep it simple. If you plan on having family over for dinner, don't cook several courses — instead, focus on making one thing and make it great. Roasted chicken and pasta were always safe bets and made serving guests a breeze. 9. Finish cooking your pasta in its sauce and always reserve some pasta water. Cook your pasta until it's almost done, then transfer it to your sauce to finish cooking. The pasta will absorb a ton of flavor and cling to the sauce better. If the sauce is too thick, add some reserved pasta water to thin it out and give it a beautifully glossy shine. 10. Cook your eggs over low heat to prevent them from becoming dry and rubbery. 11. For perfectly juicy meat, brine it. Do you ever wonder why pork chops and chicken are so much juicer when you get them in a restaurant? That's because they brine them (which is just a fancy word for soaking meat in salt water). Brining meat makes them juicy, succulent, and bursting with flavor (and a brined meat is way more forgiving when overcooked). Learn how to do it here. When I first started classes I would flip, poke, and move meat as it cooked. I soon realized it takes a long time to get a perfectly dark sear and that patience was the secret ingredient to a perfect steak. Keep your heat high, flip it once, and stop poking it. When the meat is done, it will release itself — no scraping with a spatula needed. 13. And let it rest before cutting into it. The first cooking class I ever took was butchery, and something that I was told over and over again was let your meat rest. Resting meat after cooking it allows the juices to redistribute throughout so you won't lose a ton of moisture when cutting into it. 14. Hone your knife EVERY. TIME. YOU. COOK. Before you start cooking for the day, hone — or realign — your knife. It won't sharpen it, but it will keep the edge aligned and prevent it from becoming warped. See how to do it here. 15. Have the right tools ― and keep them sharp! During one particularly challenging class, a fellow student was caught using a dull knife (a recipe for disaster). The teacher took his knife and literally threw it in the garbage to prove a point. The moral of the story: Always keep your knife sharp. Sharpening is different from honing because it actually grinds the edge off to make a new one. Learn how to take care of your knives here. 16. Always have a side towel handy. Side towels are the currency of culinary school and as students, we would always have one tied to our waist. Keeping one near your stove will allow you to work smoothly, prevent burns, and save you time. It's all about mise en place (having everything in place before you start cooking) and a side towel is an essential part of that philosophy.